It’s hard not to have fun when you’re around Will Volpert. His appreciation for the beauty of the river and sense of adventure in the outdoors are second to none and he brings that passion and excitement into everything he does. When Will moved back to Ashland in 2010 it didn’t take long for him to decide to launch his own rafting company. Growing up in a family of river guides and outfitters, this work is second nature in every way and it shows. 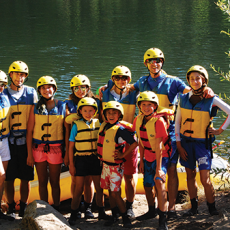 Now in its 4th year, Indigo Creek Outfitters offers half and full day rafting trips locally on the Rogue and Upper Klamath Rivers while his partnering company, Rogue River Journeys, takes care of the multi-day excursions on the Wild & Scenic Rogue River. Will and his crew are true river experts, but they are also amazing people and their enthusiasm for sharing outdoor experiences is contagious. They work hard to run trips that are comfortable, family friendly, professional, and fun for beginners and hard-core river rats alike. We spoke with Will recently to learn about the upcoming rafting season and the trips he recommends. Hint: there’s something for everyone! Will, thanks so much for speaking with us today. So what’s it looking like out there? Are we going to have an awesome rafting year or what? Things are off to a great start for the Southern Oregon rafting season. 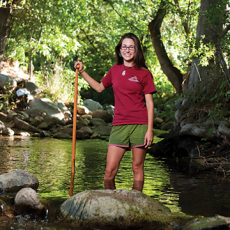 Our two most popular rivers, the Rogue and Klamath, are projected to have perfect water flows all summer long. We’ve been running trips since the first week of April and we will operate until October, so it’s going to be a much longer season than in the past. You are very proud of your staff. Introduce us to your amazing team. For both Indigo Creek and Rogue River Journeys, the crew we’ve assembled for 2014 is an incredible group of professional, fun, and entertaining individuals. 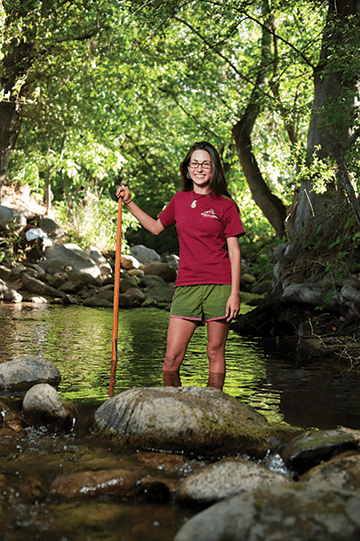 Our guides are not just “rafting guides,” they are people who enhance our outdoor experiences by caring for our customers, the rivers they work on, and each other. We’re a tight-knit group that works and plays together. The culture we’ve developed is really something special – we all strive to go above and beyond our customer’s expectations and we have a lot of fun in the process. T.J. Vandehey has been with Indigo Creek since we opened for business in 2011. Next year he will be graduating from S.O.U. 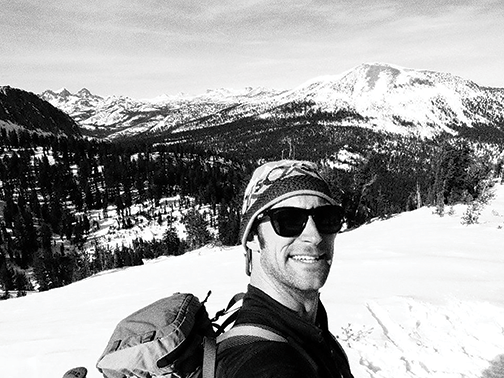 with a degree in Outdoor Adventure Leadership. When he’s not on the river he’s probably rock climbing or on top of a mountain. 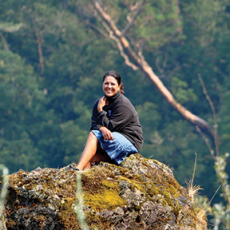 Katherine Luscher works most of our three and four-day Wild & Scenic Rogue trips with Rogue River Journeys. 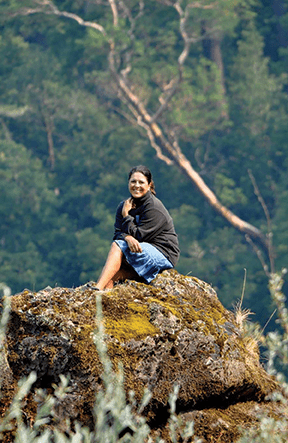 She lives in Portland and is employed by the River Network, a non-profit dedicated to protecting rivers. She’s going into her tenth season with Rogue River Journeys. 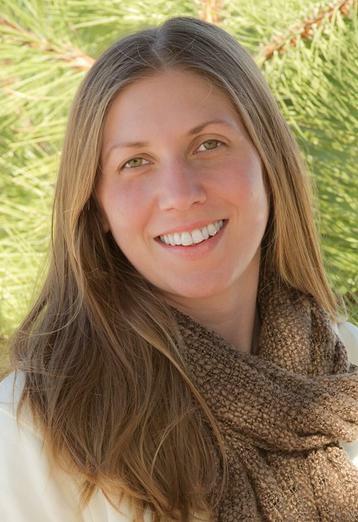 Emily Berlant works in our reservation office and is also able to sneak away for trips every once in awhile. 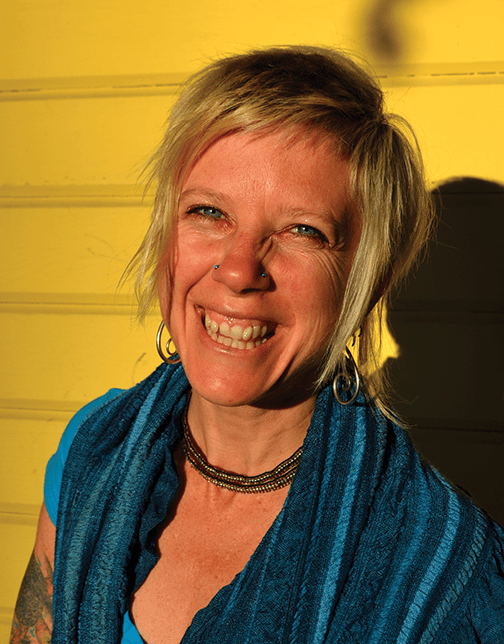 She grew up in Grants Pass and knows the Rogue River like the back of her hand. If you give our office a ring, chances are you’ll be speaking with Emily. 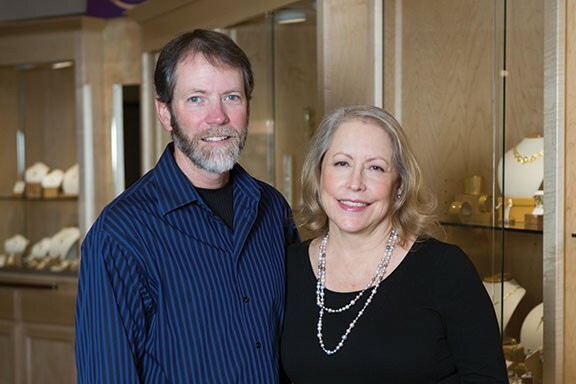 James Bruce lives in San Luis Obispo and is a teacher at San Luis Obispo High School. In 2013, he received the California Arts Council’s first Hero Award. 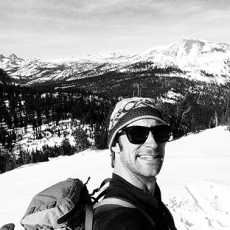 Prior to guiding and teaching, he was a wild land firefighter. 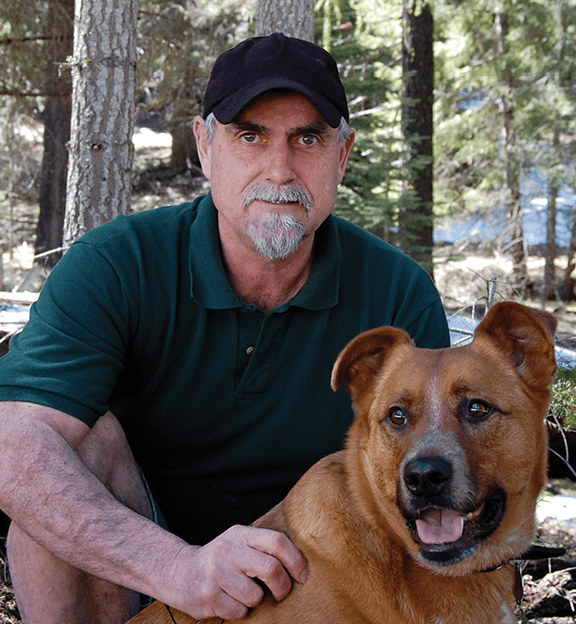 He spends his summers on the Wild & Scenic Rogue River. How have you gathered such a strong crew to support you? We choose our staff based on the belief that personality and company culture are the two most important things in our business because they have the greatest influence on the memory of your experience with us. With training we can teach just about anyone to get a boat downstream, but the real skill is simply being a good person who other people enjoy spending time with. We can teach anyone to move a boat, but we can’t teach everyone to be a good person. Our crew is comprised of folks who are wonderful people and who legitimately care about their customers’ experience. We take many different people on our trips and our crew always puts people at ease, helps them feel comfortable on the river, and – best of all – they get people smiling, laughing, and having a great time. If there’s one thing we excel at, it’s taking someone who might feel nervous or apprehensive and getting him or her to let go of their fears so that they can enjoy their time on the river. Who are your clients? Is there a typical rafting type? 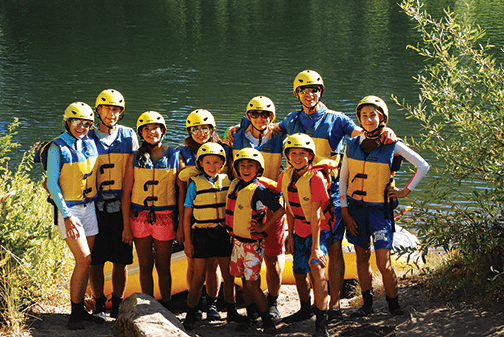 Our customer base is incredibly diverse, but most of the time we are rafting with families who have traveled from out of the area. However, each year we take more and more locals, which is always a treat because it is fun showing locals the rivers they have in their own backyard. Rafting is a very social activity and most of our trips have mixed groups. One of the best parts of these trips is getting to know everyone. When people are doing something out of the ordinary (like rafting) it’s easy to share stories, laugh, and make personal connections with your fellow paddlers. The folks who join us on the river are well-traveled adventurers who have interesting life stories and engaging personalities. I like to tell our crew that we are fortunate to get to raft with the best customers on Earth. Tell us about the variety of services that you offer. Indigo Creek Outfitters runs half-day and full-day rafting trips on the Rogue and Upper Klamath. 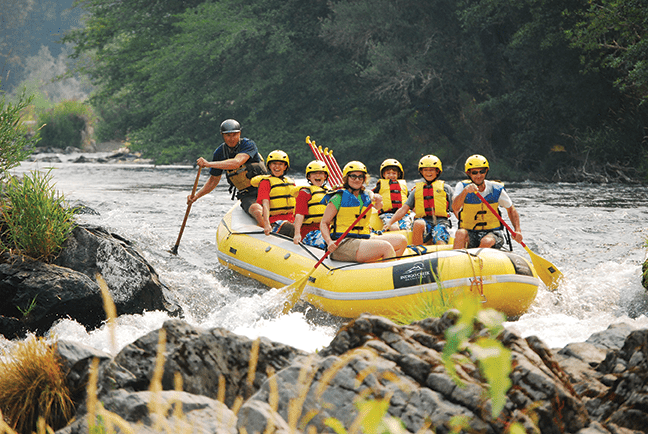 Rogue River Journeys offers two, three, and four-day trips on the Wild & Scenic Rogue. Almost all of these trips are suitable for beginners, young kids, and folks who have spent limited time outside. At the same time, if you have lots of experience and want a challenging adventure, both the Rogue and Upper Klamath will provide the thrill you’re looking for. Four-day Wild & Scenic Rogue trips are perfect multi-generational vacations. Grandparents, parents, and kids will enjoy these trips because there are different levels of adventure but at the same time there are opportunities to hang out and relax together. People travel from all over the world to visit the Rogue River, so it’s always amazing to me that so many locals have yet to float the Wild & Scenic stretch. The day trips we run out of Ashland are good for those looking for a quick outdoor escape. Half-day trips on the Rogue are suitable for kids 8 years and up. 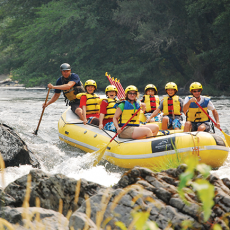 Our Upper Klamath rafting trips feature the best whitewater in Oregon during the summer. The minimum age for those trips is 12. Wow! But river rafting is a very adventurous sport. 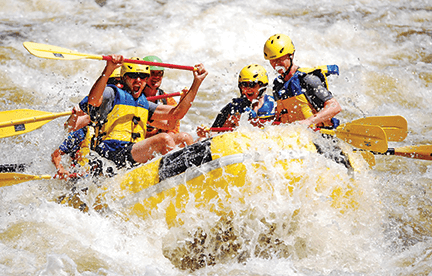 Is there anyone who is not a good candidate for rafting with you? One of the great things about the rivers in this area is that there literally is something for everyone. The most rewarding aspect of this job is to take someone who never thought they could go rafting, to wash away their fears, and to see how happy the experience makes them. These trips truly can be life changing because they create memories that last throughout a lifetime. The bottom line is that we can take anyone on the river. And if someone thinks one of our trips is going to be impossible for them to participate, we would love for the opportunity to prove them wrong. How do Rogue River Journeys’ multi-day trips work? Going on a multi-day river trip is the best way to let loose and forget about your day-to-day routine. There’s no cell service, internet, or television but our rafts carry everything you’ll need to feel right at home. From start to finish, these trips are all-inclusive and include all your meals for four days. And using the word “meals” to describe the food we serve is an understatement. The food we serve is regionally sourced, delicious, and healthy. Our guides are expert outdoor cooks who are firmly believe that the perfect complement to a beautiful river is delicious food. Each day you can ride in either an oar boat (kick back, relax, and let your guide do the work), paddle boat (actively paddling downstream), or inflatable kayak (the most adventurous ride). Most people will switch between different boats to get a feel for what they like most. When we arrive at camp you’ll find that a Rogue River Journeys outfitted camp is the most comfortable “camping” you’ll ever do. On all of our trips we serve local wines and craft beer, so once you’ve settled into camp you can kick back, relax, and spend time with your family. If you’re looking for more adventure all of our camps have hiking trails and swimming holes that are ready to be explored. At the conclusion of your trip we’ll transport you back to the Galice Resort, where the trip started and your vehicle is parked. After a trip like this you’ll discover why so many people visit the Rogue River year after year. What about Indigo Creek’s day trips? 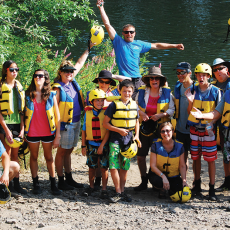 Indigo Creek’s rafting trips meet at our shop at 130 A Street near downtown Ashland. At our Rafting Center we have everything you need for a comfortable day on the water. Wetsuits, booties, and splash jackets are available free of charge. In the hot summer months wetsuits aren’t normally necessary. Our Rogue River half-day trips are offered twice per day through September. Morning trips meet at 8:15am and afternoon trips meet at 1:15pm. The half-day trips are roughly four hours from start to finish. The stretch we run is commonly referred to as the “Nugget-Powerhouse” section of the Rogue. It starts off really mellow and builds to the two largest rapids of the trip. It’s perfect for young kids and groups of mixed experience levels. The Upper Klamath is the best rafting trip around. Period. 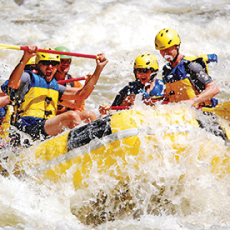 It’s a guide and guest favorite because of the continuous whitewater and fantastic scenery. Upper Klamath rafting trips meet at 8:30am and return to Ashland around 5:00pm. Breakfast and lunch are included in the trip and all of our food is purchased from the Ashland Food Co-op, which is only a block from our shop. Buying from the Co-op ensures that we are not only serving great food, but also supporting our local economy. It’s clear that being a cooperative member of the local business community is important to you. 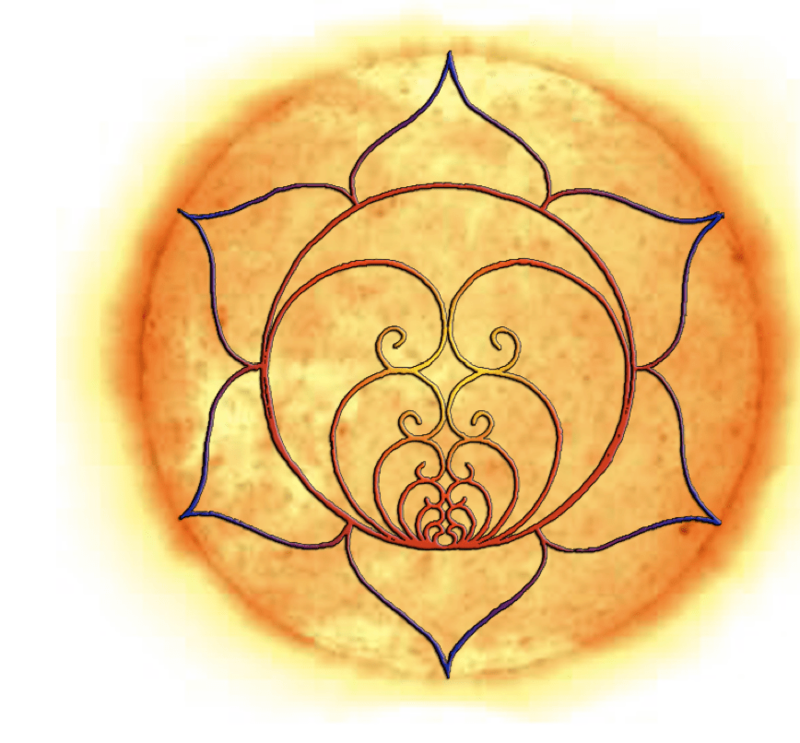 What does this look like for you? 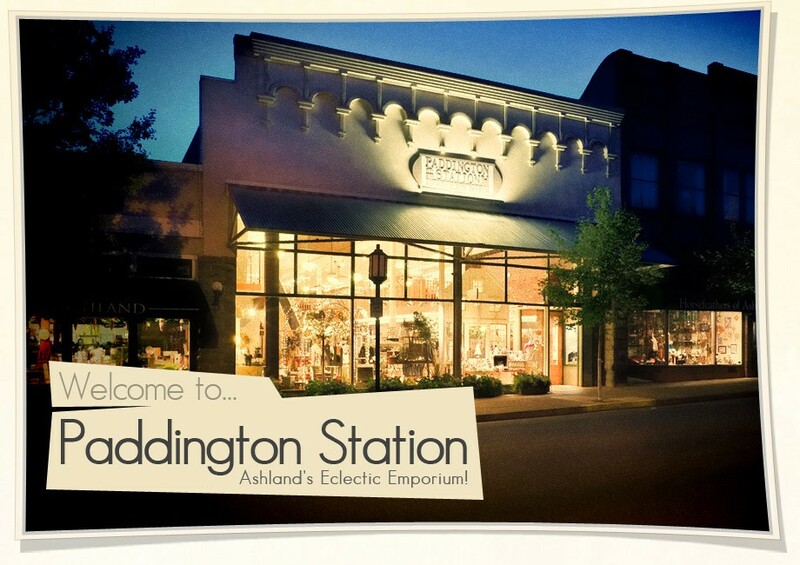 Working with other Ashland businesses is a crucial part to our success. This is a small town and many of the businesses are small, family-run establishments that are often owner-operated. I know what this is like and I know how it feels when someone locally chooses to join us on the river. 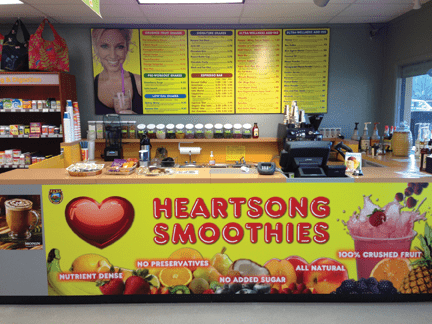 It’s the highest honor to be the local’s choice, but it doesn’t happen without supporting the people that support us. When business is good that’s an easy thing to do, but it’s most important to show your support when town is slow. The more everyone works together, the stronger our community will be. There’s a saying “a rising tide lifts all ships,” and we can all influence that tide. Along those same lines, Ashland has a long history of being home to some of the best outfitters in the business. To be part of this boating community is a true honor and we feel fortunate to have the relationships we do with other rafting companies. The apple doesn’t fall far from the tree. Did you always know you would end up in the rafting business? 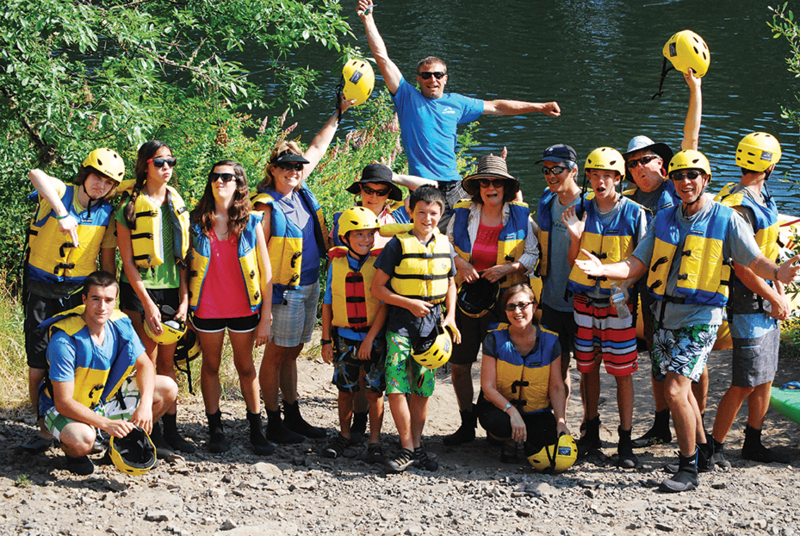 What do you want readers to know as they get ready for rafting with Indigo Creek this summer? A lot of people wait until July or August to go rafting but this year our most popular dates are starting to fill in those months. Look at June and see if you can squeeze a trip in. June is a great time of year to be on the water because there are fewer people and flows tend to be a bit higher. Also, rafting is not like Christmas, it can happen more than once a year. We’d love to float with you more than once this summer. What’s the best way for folks to get in touch with you to make a reservation? Call us at 541-282-4535 or book online at www.IndigoCreekOutfitters.com. I also understand that you are going to be working in collaboration with the new LocalsGuide mobile app. The secret gets out early! Yes keep your eye open for awesome, last minute availability specials that we will be sharing exclusively via the LocalsGuide App.